Aleasoft is specialized in forecasting for the energy sector. Which are the keys of their own software developed by the company to compute this type of calculations of the energy price? AleaSoft celebrates its 20th anniversary this year. Our methodology and models are based on the combination of three techniques: 1. Artificial Intelligence, specifically Neural Networks; 2. Box-Jenkins theory of timeseries, in this case SARIMAX models and 3. Classical statistics, mainly multiple regression models. With these models, 20 years ago we put into operation a forecasting platform that was installed in the main companies of the sector in Europe. This platform helps us to generate hundreds of forecasts every day that we send as a service to dozens of companies in Europe. At the moment we have more than 400 models in operation. Our solutions as applications and services are used to forecast market prices, electricity demand, production of renewable energy sources such as wind and solar (photovoltaic and solar thermal) energies and in general any type of forecasting needed in the energy sector. At present, the keys to the success of our solutions are: consolidated scientific model, more than 20 years of experience, presence in the main companies of the energy sector and consistent forecasts. Why are these types of forecasts so relevant for companies in the energy sector? In a company in the energy sector, future forecasts in all horizons are fundamental from hours ahead, in some cases, up to the 30 years ahead, in others. Having a vision of the future in the medium and long-term allows them to make decisions about investments, supplies and strategies to manage the risks of price variability. 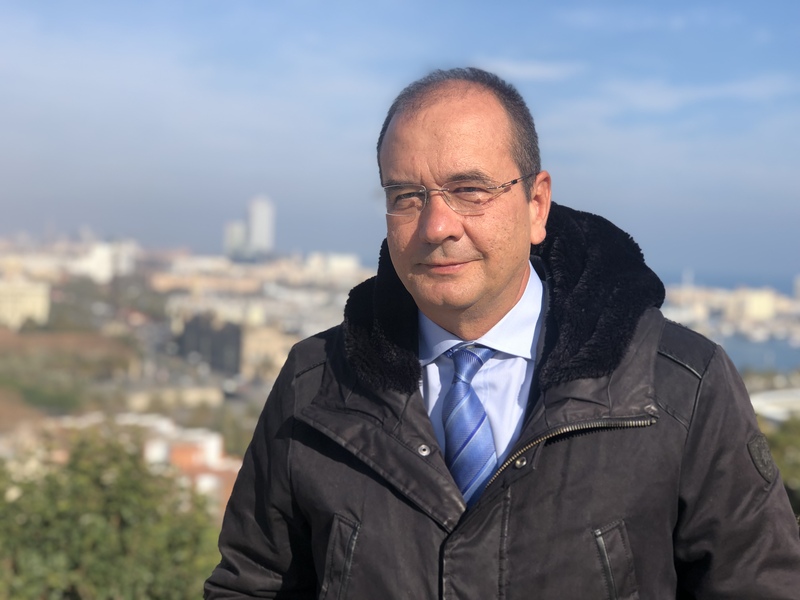 What additional difficulties entails the introduction of a greater renewable generation in the Spanish energy mix to generate these forecasts? Our methodology, based on a scientific forecasting model, takes into account the equilibrium points of the past and projects them into the future. Renewable energies that are introduced are replacing coal, gas and finally will replace the nuclear power. 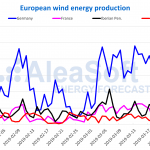 The increase of renewable generation, as well as the increase in interconnection capacity, gives greater stability to the market price. The Spanish electricity market has been evolving for more than 20 years of history. I remember that, many years ago, when the demand was very high, fuel-oil power plants fired up that were very expensive, creating high price peaks. There was another stage with the introduction of gas combined cycles that brought stability to the price. After that, a large amount of wind energy capacity was installed, displacing part of the gas combined cycles production. In short, a market always in motion and evolution. Returning to the question, the introduction of new renewable energy is not an added difficulty for us from the point of view of the modelling, since it is exactly what we have been doing in these 20 years of experience. This introduction of greater renewable production, mainly photovoltaic, is an opportunity for Spain for the solar resource that it has. In a few years we can go from being energy importers to being net exporters. 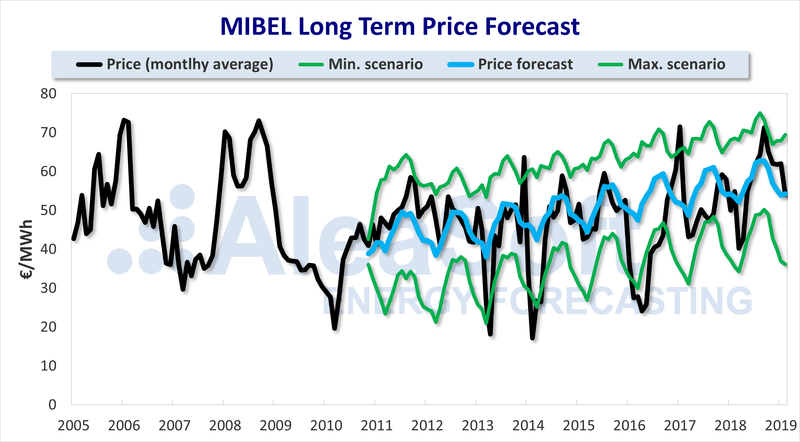 Since 2018 we are in a scenario of high electricity prices in the Spanish electricity market (MIBEL). What are the main causes of this high price level so far this year? On the topic of electricity market prices, there are times when we forget the history. If we analyse the monthly prices from 2005 to 2008, we see that there are twelve months with average prices higher than 60 €/MWh in four different years. From 2009 to February of this year, or rather more than ten years, the number of months with average prices of more than 60 €/MWh has been ten, meaning that on average there is one month above this price every year. In general, prices since 2005 have been falling and having less volatility, mainly thanks to larger international interconnections. As we have been highlighting in our three weekly publications dedicated to the analysis of the European market prices and especially the Spanish market, the increase in the price of CO2 emissions rights, which went from about 5 €/t in 2017 to more than 22 €/t by the end of 2018, has been the fundamental cause of the increase in the price of the electricity market in all European countries. In this same period, the prices of Brent oil, gas and coal have risen, also influencing the rise in the prices of the electricity markets. Fortunately, the prices of CO2 and fuels have stabilized or even decreased lately. Source: AleaSoft’s long-term forecast made in 2010. 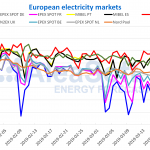 The forecast error of February 2019 is 0.5 €/MWh. What forecast does the company have for the rest of the year? About 52 €/MWh for Q2, 57 €/MWh for Q3 and 60 €/MWh for Q4. We must always bear in mind that our model contemplates more than a dozen variable scenarios that influence the evolution of the price and that unexpected global events can cause these scenarios to change. The current Government has proposed the progressive closure of nuclear power plants in Spain. What impact on the pool will this situation have in the coming years? Well, fortunately, the nuclear energy that will be lost will be replaced by renewable energies, especially solar photovoltaic, and there will not be much impact on the pool if the process is done without haste and in an orderly manner. And the influence of the increase of renewable generation in that same pool? As we stated above, the introduction of renewable generation in an orderly manner will not bring great changes in the price of the pool. It is an energy that is replacing others that come out of the pool. However, at night with no solar energy production and when no wind is blowing, we will have combined cycles running for 20 more years. Is there any alternative to the current marginalist system for market pricing? As we have stated on other occasions, the Spanish electricity market is more than 20 years old, and is in a stage of stability and maturity. Our market is totally coordinated with the rest of European markets. Markets need long-term stability so that there is confidence and the investments flow. If you do not have a clear idea of what you want, and that it is better than what we have, our advice is not to speculate on the subject. Regarding the electricity market, the most important thing is that the companies in the sector have a long-term vision, with scenarios of 5, 10 and 20 years of horizon. Both, the companies that generate and sell, but mainly the large consumers of energy that are the ones that buy. Companies that sell and buy electricity can agree to make bilateral contracts out of the market in all horizons or participate in forward markets. At AleaSoft we are creating a strategy group to advise our clients on possible alternatives in the purchase and sale of electricity in the medium and long-term. With the solar photovoltaic revolution, new horizons are opening up since the price of the technology has dropped enough to not need subsidies and be profitable going directly to the market. PPAs make it easier for those who build a photovoltaic park to guarantee a share of future sales with a consumer that in turn guarantees a stable long-term price of clean energy. Returning to the question, we believe that for now the marginal market should continue and that the agents involved must have a vision of the future to analyse the possibility of covering more than 50% of their needs for purchase or sale in the forward markets.